In this post we will be showing an exemplary analysis with Abaqus Standard. 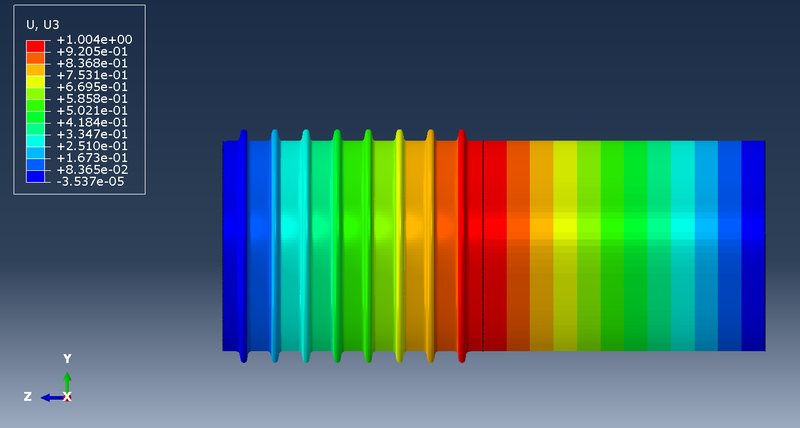 This analysis will incorporate a coupled thermal-stress problem of a cylindrical shell (e.g. a pipe enclosing a high temperature fluid used in a factory). This pipe will be connected to a metallic expansion joint that will have the purpose of undertaking the thermal extension of the pipe. The purpose of the coupled analysis will be to demonstrate the mapping of result values via the predefined field option.